The two young men stood in the middle of the subway, that spot reserved for the rush-hour swell or else the stage for optimistic break dancers determined to rouse the unengaged masses. The train rambled between Broadway-Lafayette and Grand, from one underground sweat box to the next. The men, listless on a Friday afternoon in the way eighty-degree weather and youthful unemployment makes you listless, were riding the train to no destination, or else Coney Island. “On the bright side, at least the girls are almost naked now. You see that girl walking on Houston? Her shorts were up to here,” the younger one, dopey-faced, said and demonstrated with his hand raised high up his thigh. “I’m tired of this conversation. I get it: a bunch of people don’t want to be here, but they pretend they do,” he answered, half of his sentence an emphatic yawn. “I took a class once in school. Intro to Psych,” he punctuated this explanation with a snap of his fingers. As if to punctuate this statement, the subway doors slid lethargically open at Grand Street and hot, putrid air flowed in a wave with the tide of tourists on their way to ride the Cyclone. “And the trash keeps getting heaped on top of us?” The younger one, the guppy pucker of his mouth widening into a cautious smile, asked. “Now you get it. It’s not just the weather, man. We’re zombies for other reasons too. But everyone’s too scared to wake up.” Denim Vest poked his friend in the chest with a stiff finger, like he was trying to shake him from sleep. “Yeah, like we’re all collectively unconscious,” Guppy pronounced like he was speaking a foreign language. “Sort of. Don’t worry, you’ll figure it out. Next I’ll tell you about the Id. 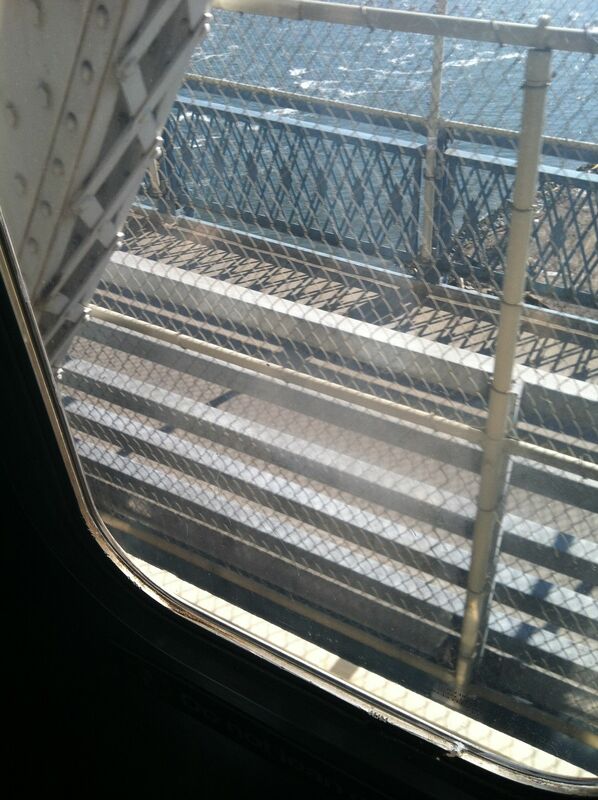 The id is crazy.” He looked out the window as the train passed over the river. It ambled towards the end of the line, suspended briefly in the air above the city like a tightrope walker between skyscrapers.